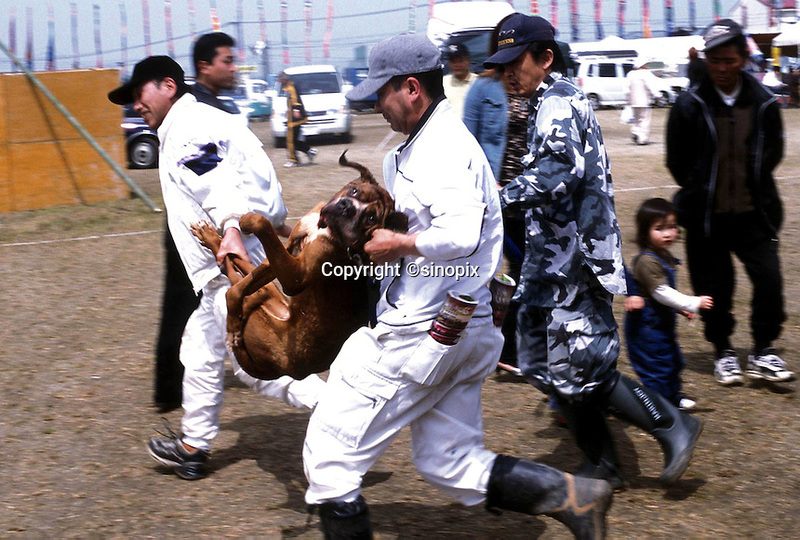 A Tosa is rushed to a vet at the end of the dog fighting in Nagasaki, Japan. A few dogs die during each tornoment. this dog had a heart attack and barely survived..